Too many for what I use. This is my homemade Switch Box. 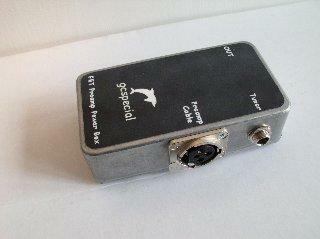 It is an A/B box with 2 inputs, and can be used as an Effect Loop Box with the flip of a switch. You can see the schematic here for the basic Switch Box, and the changes to the input circuit for the more complete one. 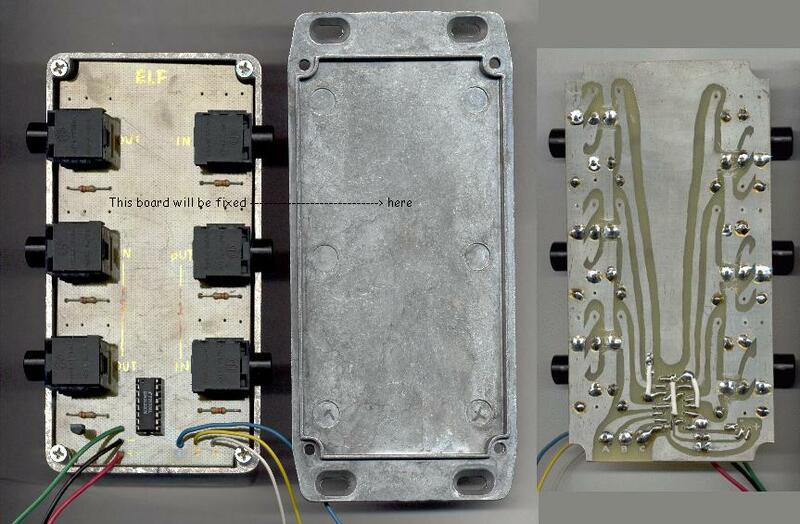 Here are pictures of the two methods of wiring the Switch Box. And here are pictures of the one I built. An effect loop box can also be built using this schematic. Here is a wiring diagram for it. 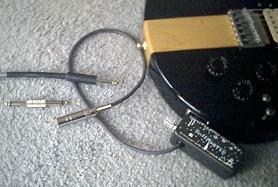 Here is an Active Guitar Cable I wired from Don Tillman schematic. < Click on the picture for a larger view of the inside. 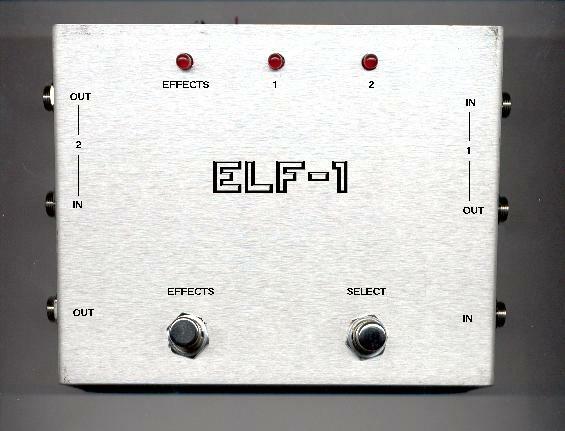 My first project with a PIC, an ELectronic Footswitch (ELF) inspired by R.G. Keen articles on Effects Switching. Thanks R.G. The pcb is in this prototype box and will serve as the basis for the completed project. I also built this pcb with only the 4053 section on the board. This will permit me to test or use it with switches, flip-flops, PICs, or even use an opto to receive A-B-C control signals from a distance. The board is showed upside down in the cover. It is only for test purpose. It will be fixed to the other part of the box, and grooves will be made for the jacks on the sides of the box. A FET Mixer in an empty box of cough drops. 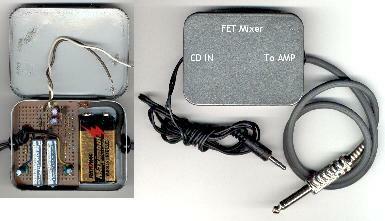 This FET mixer is used to connect a portable CD player to a guitar amp. Very useful to learn new songs. The MuffMaster I build from a design of Jack Orman of AMZ. I wanted a simple box easy to use. 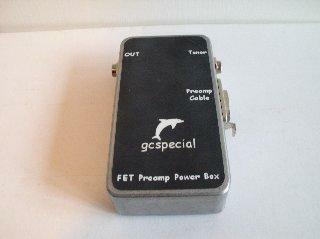 I can plug it directly into my guitar, or use it with my AB Box in the Effect Loop. I also wanted to call it the icemaster, but decide to keep the original name. But it inspired me to paint a winter scene on the front of the box. Coming soon: My (personal) mods for Jake Nagy's Super Nova with clips and pictures. 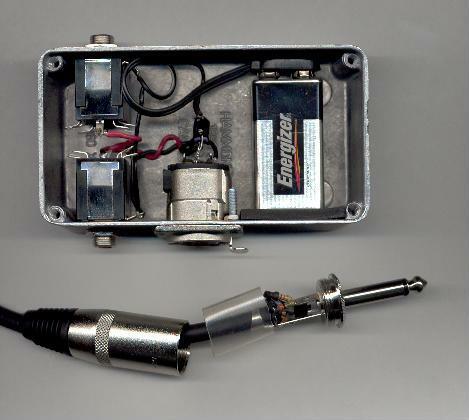 For now, here is an "exploded view" of the one I built, with a gain pot added at the input buffer and the bias made adjustable. Please note that you don't have to change anything to the original circuit if you want the original sound of the Super Nova. I am making these mods available only to show what can be added to an already good circuit. 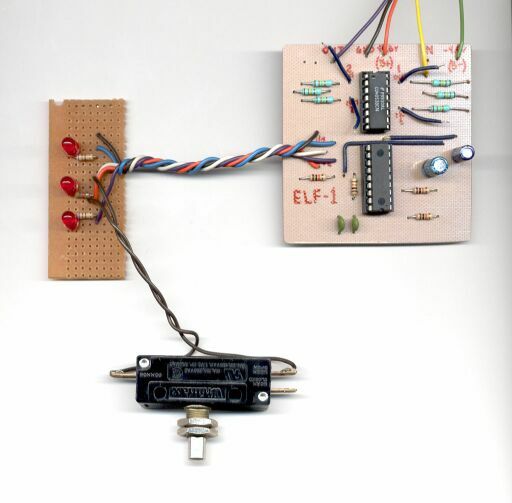 Differential Distortion Two: My modified version with an output buffer, and a PCB layout. My own opamp distortion with a PCB layout. And a few other circuits.